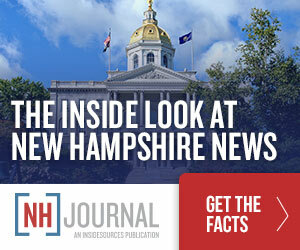 In the face of repeated reports of a surge in illegal crossings at the US/Canada border, many New Hampshire Democrats continue to oppose enforcement efforts by Immigration and Customs enforcement in the Granite State. Illegal crossing of the U.S. northern border are up 143 percent from last year, according to a report from CBS News. “Border Patrol agents apprehended 445 people entering the U.S. from Canada during the first six months of 2018; that compares with 184 during the same period last year,” CBS reports. And ICE checkpoints continue to catch illegal immigrants who’ve crossed into the U.S. from Canada. “It’s a tough challenge to go ahead and take the limited resources we have and work in such a vast area,” says Norm Lague of the U.S. Customs and Border Patrol agency. And yet New Hampshire Democrats and liberal groups like the NH ACLU continue to fight against immigration enforcement efforts on the New Hampshire side of the border. Rep. Annie Kuster raised questions about enforcement in New Hampshire after her car was stopped at a Border Patrol checkpoint. U.S. Senators Jeanne Shaheen and Maggie Hassan have expressed interest in Democratic-backed legislation that would restrict immigration checkpoints to within 25 miles of the border–a move adamantly opposed by Border Patrol officials. And several of the Democrats running in the NH-01 primary have compared Immigration and Customs Enforcement to the Gestapo. This at the same time as human smugglers are known to be targeting the US northern border, and Canada’s policy of visa-less entry for countries like Mexico and Romania (another nationality Border Patrol agents say is contributing to the spike in illegal crossings) are making the northern border more attractive for people seeking to enter the U.S. illegally. President Trump has pledged to make immigration and border security an issue in the midterm elections. If these trends continue, that topic could hit much closer to home here in New Hampshire.